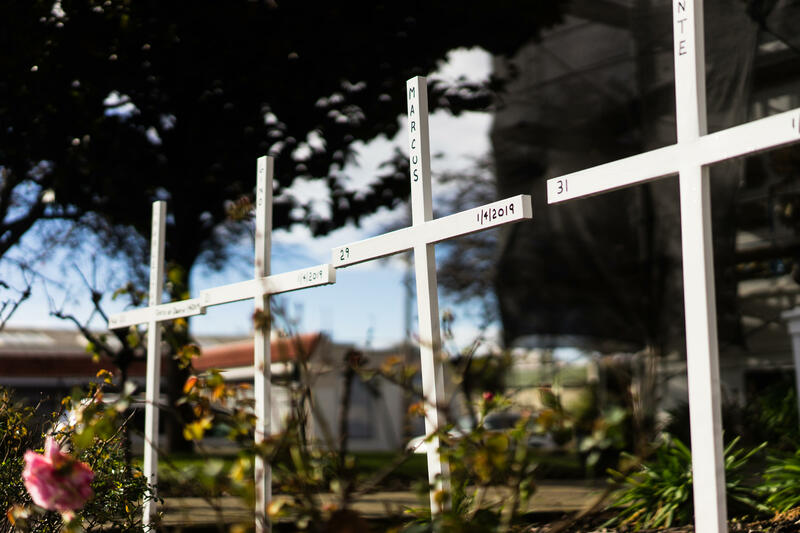 Memorial crosses for homicide victims are erected at St. Columba Catholic Church in Oakland, Calif. 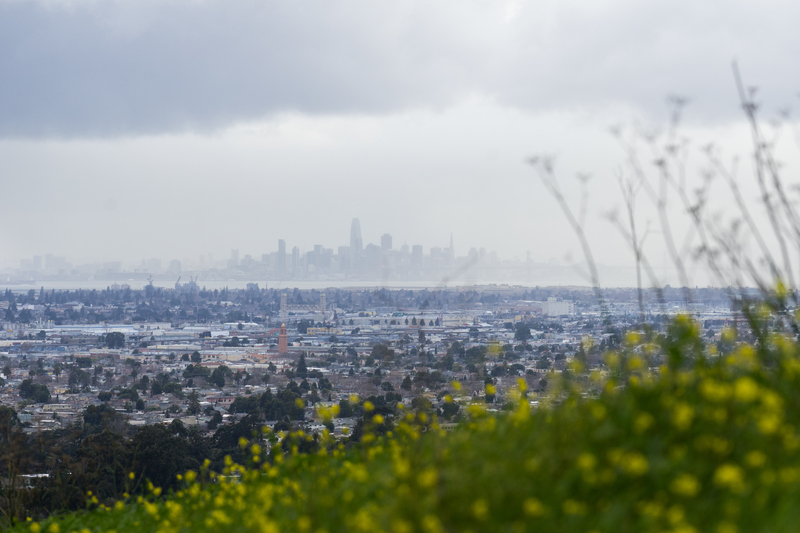 In East Oakland, where gun violence is chronic, some are grateful that America is paying more attention to it — but they would also like a focus on neighborhoods like theirs. As the nation marks one year since the Parkland school shooting, many Americans are thinking about how the conversation about kids and gun violence has shifted. In the weeks and months after a gunman killed 17 people at Marjory Stoneman Douglas High School in Parkland, Fla., students took to the streets and the airwaves to call for fundamental change in America's gun laws. Stoneman Douglas students and students nationwide rallied in an effort to prevent that kind of massacre from happening again. And so far in 2019, according to an analysis by Pacific Standard, the 116th Congress has already introduced 33 gun control bills, a number not seen since the aftermath of the Sandy Hook shooting. But for some young people, a year's attention on events like Parkland hasn't turned into the attention they're asking for: a spotlight on the everyday gun violence they experience in their neighborhoods. 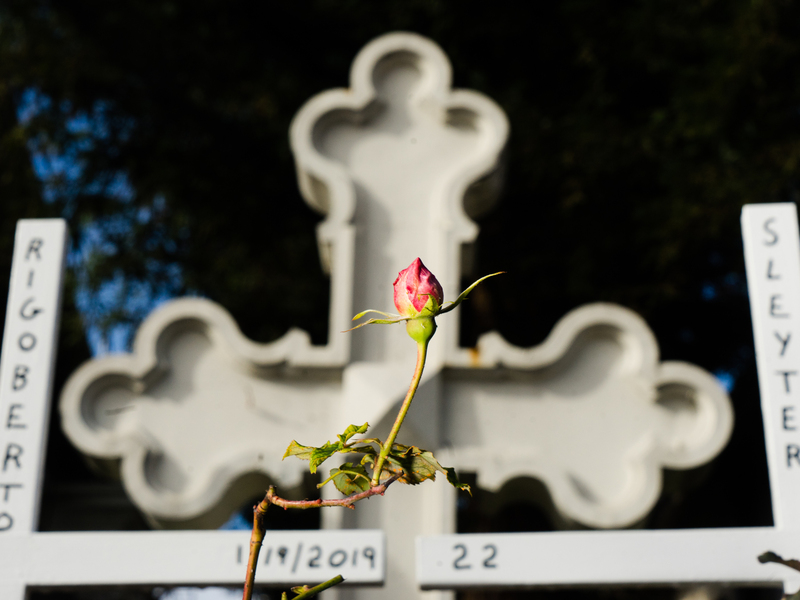 "We might not see all of our friends die at the same time, but we're definitely seeing people fade away to the same fate, just on multiple occasions," says Gabriel Patten, 18, a student at Castlemont High School in East Oakland, Calif. "You're like, I just hope I make the right decisions today." 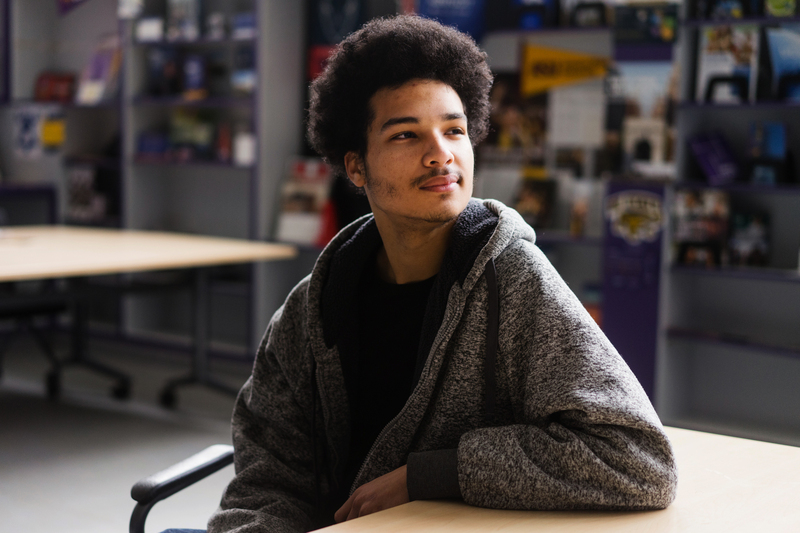 Gabriel Patten, 18, a student at Castlemont High School in East Oakland, Calif., is a member of an Oakland-based violence intervention program called Youth ALIVE! He remembers when one of the program counselors was shot just outside the school. "Distorted our perception of reality"
Patten and other students from Castlemont High have conflicted feelings at the first anniversary of the Parkland shooting. On one hand, they say, they are grateful that America is paying more attention to gun violence. On the other, they know that the gun violence that affects them, sometimes daily, gets much less attention than mass shootings that happen at places like Parkland. Oakland had 75 homicides in 2017, with 46 of those in East Oakland, where Patten and classmates Ajahnay Cooper, 17, and Armon Hurst, 18, attend school. That's about one homicide per week in the youths' neighborhood. A memorial for a victim of gun-related homicide outside Castlemont High School. Cooper, Hurst and Patten all have vivid memories of the multiple times gun violence has touched their lives. All three students are members of an Oakland-based violence intervention program called Youth ALIVE! and they remember when one of their program counselors was shot just outside the high school. Hurst can recall being held up at gunpoint at an East Oakland McDonald's and the multiple times he had to run from bullets in his neighborhood. Cooper can point out the corner store near campus she is still afraid to visit after someone she knew was shot there, and she says that the shooting got so bad in the neighborhood on New Year's Eve, she and her family were forced out of their home for the night. She sometimes carries a knife or pepper spray in her neighborhood to feel safer. "It's actually, like, numbing," Hurst says. "You don't even feel the pain no more. You know something might go on today. When people really ask me if I feel safe at home or at school, it's neither." They say they're never really sure which classmate may have brought a gun to school. They say they aren't sure when they may have to run from gunfire. And they say they don't know when a small high school dispute might turn into violence. The students say the kind of day-to-day gun violence they experience is under-covered in the press. And they have a point. A mass shooting anywhere in the country usually garners more national media attention than a single shooting or homicide that happens regularly in neighborhoods like East Oakland. Oakland had 75 homicides in 2017, with 46 of those in East Oakland. The higher the shooting's death toll, the greater the coverage, says Joel A. Capellan at Rowan University, who studies mass shootings. "No. 1 is how lethal the shooting is," Capellan says. "That's the most predictive factor when it comes to not only which shootings get presented by the news but also how much they are presented." This already makes the everyday violence in places like East Oakland less likely to get widespread attention. And then there are other elements that seem to determine coverage, he says. "When the victims are younger ... particularly white children and white teenagers, that seems to be a pretty big factor," Capellan says. "When they're black and poor, they get no attention, or very little attention." 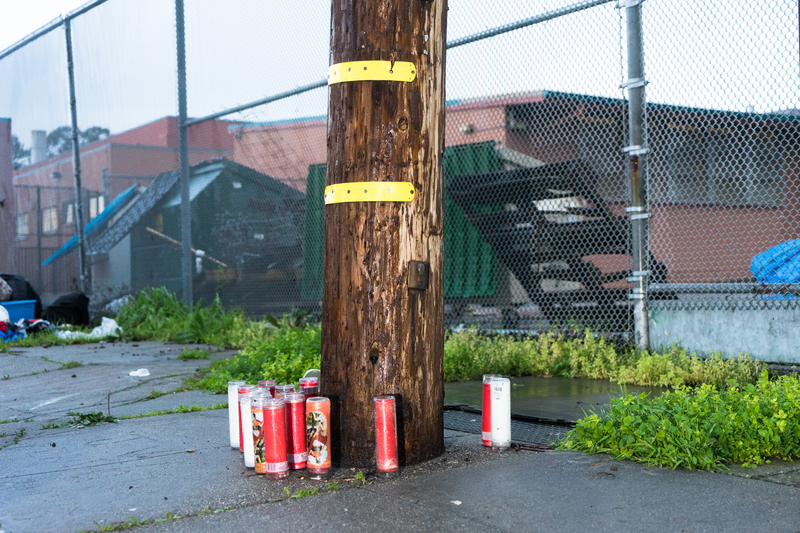 Memorials for victims of gun-related homicide in Oakland. The way mass shootings are covered has "fundamentally distorted our perception of reality," he says. "The public generally thinks that there are more mass shootings than there actually are in real life." "It's our time to talk"
The vast majority of gun deaths — more than two-thirds — in America every year are suicides. Mass shootings account for about 1 percent of all gun-related deaths in the U.S. every year. Even as the rate of mass shootings has increased over the past several years, they are a small fraction of gun deaths in America. "We can't solve a problem when we don't know what's happening," says Pamela Mejia, head of research at the Berkeley Media Studies Group, which examines mass media and its connection to public health. "If the coverage is overwhelmingly driven by very high profile but fundamentally fairly rare issues ... what people, voters, policymakers ... are learning about and having a sense of as the norm is only those very isolated incidences. And then the solutions that they're thinking about are really solutions that only address those specific problems." Hurst, Cooper and Patten, the students at Castlemont High, hope that the Parkland shooting anniversary is a moment for all Americans to think about the ways gun violence affects people in communities like theirs and to look farther than Parkland to see the reality of gun violence all over America. They also have a few words for the students at Parkland, who have galvanized the nation over the past year. "I have to respect them for their leadership," Hurst says. "I would just say that you were blessed with all that media attention." Patten echoes the sentiment. "I would tell them, I'm sorry for what you went through," he says, "but it's our time to talk." Anjuli Sastry and Jordana Hochman produced and edited the broadcast version of this It's Been A Minute episode. Crosses erected at a local church for every homicide victim in Oakland, Calif.